Liberty (freedom) is not evident by viewing our circumstances or the situations we find ourselves in. It is definitely not by judging our emotions. It is a gift from God, that was paid for with the highest price, the Life of His Son Jesus. The only way to stay free is to stay in truth, the Word. "No Longer Slaves" is jam packed with truth! My thinking up until recently had been that I would have the victory or freedom when "all was said and done" or when I could say, "this is what God did, Praise the Lord! ", but today as I walked around the neighborhood feeling much like a daughter feeling full and confident, it dawned on me - THIS is the victory, the FREEDOM - NOT caring what the outcome is but, basking, growing and celebrating the journey. The victory is I AM a daughter with a Daddy that loves her and no verdict or outcome can change that. I have the freedom to face ALL that lies before me without fear. So, even with no idea what the outcome is in any given situation, but SURE that the journey is making me more of the woman He created me to be. Sometimes freedom is simply not reacting or waiting when you would have normally run ahead. Choosing forgivenss when there was no repentance. Freedom is simple. Look for it, because freedom could sneak up on you without you realizing you have it. There probably won't be fireworks. Sometimes it isn't until after the fact that I see my freedom in a particular area. We are hard on ourselves, but we forget we serve a loving and liberating God. One little mistake and we quickly head down a path to self-condemnation. I'm just saying, let's be as quick to celebrate our freedom and acknowledge it. He is not going to set us free all at once, we couldn't handle it. It's a journey, He wants us to succeed, so He does it little by little. The more we celebrate the little victories, the quicker we will see the bigger picture and realize the freedom we have gained. A couple of months ago I made two flans. I don't know if you have ever made flan, but it is worth the effort of combining ingredients, preparing the water bath and cooking at a moderate temperature for a long time to achieve the best consistency. One was a gift and one was for my family. I set up the water bath in the oven and put the first flan in, when I put the second flan on the tray both poured out onto the floor, the oven drawer and in the cracks and crevices of the oven door. I cleaned it up, went to the store and made two more. While they were cooking I realized I didn't beat myself up, I didn't get angry at myself and I didn't feel bad. Whoa, what happened? 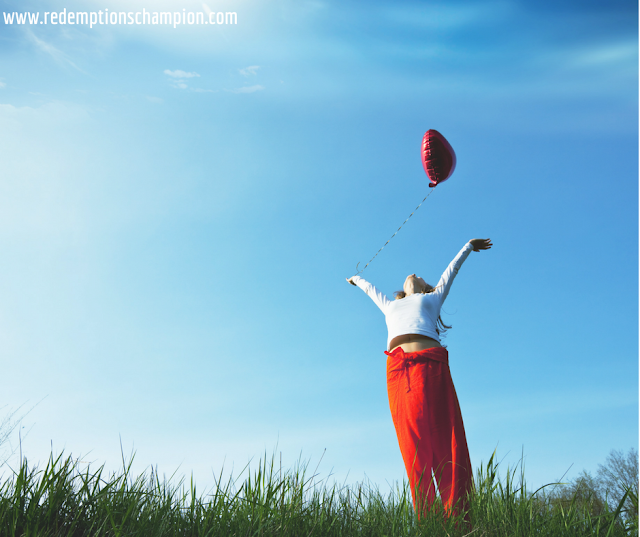 God set me free, He liberated me from beating myself up. I didn't study, He didn't tell it was going to happen, but I can look back and see the process of Him bringing me to that point. Do you feel free? If you said no, don’t that be your judge! If you are a follower of Christ you are free. Do not let your feelings determine your freedom, His sacrifice did that for you.